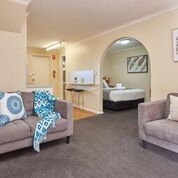 يقع في Launceston City, Elphin Villas Motel إنه المكان الأنسب لاكتشاف لاونسيستون و ما يحيطها. يسهل الوصول إلى هذا الفندق ذو 3.5 نجوم من المطار، فهو يبعد عنه مسافة 12 km فقط. يضفي محيط الفندق اللطيف وقربه من سيتي بارك, ناشونال اوتوموبايل, وود ديزان كولكشن سحراً خاصاً على هذا الفندق. استمتع بالخدمات الراقية والضيافة التي لا مثيل لها بهذا الفندق في لاونسيستون. لضمان راحة ضيوفه، يقدم الفندق الخدمات التالية: واي فاي مجاني في جميع الغرف, مرافق مخصصة لذوي الاحتياجات الخاصة, تسجيل وصول/خروج سريع, تخزين الأمتعة, واي فاي في المناطق العامة . 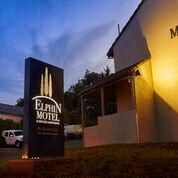 تنعكس أجواء Elphin Villas Motel في غرف الضيوف.تلفزيون بشاشة مسطحة, اتصال لاسلكي بشبكة الإنترنت (مجاني), حوض الاسترخاء, غرف لغير المدخنين, مكيف هواء هي بعض الميزات الموجود في العديد من الغرف. إن حديقة هو المكان الأمثل في الفندق للاسترخاء وتفريغ طاقتك بعد نهار طويل. مهما كانت دواعي سفرك فإن Elphin Villas Motel هو خيار ممتاز لإقامتك في لاونسيستون. يُطلب من الضيوف الذين سيصلون بعد 08.00 PM الإتصال بالعقار مباشرة قبل موعد وصولهم. Apartment is clean and comfortable. Kitchen fan may not work well so after cooking the smell filled up the apartment. That’s why we bbq in the garden the next day which is good. Coles, Kmart and I think there’s an indoor playground just across the road so it is great for families staying a couple of days on Launceston. Thank you for your stay and your review. Regards Tricia. Very nice hotel, clean. Reception stayed open to wait for us, very friendly staff. Thank you for your review and your comments, we are pleased you enjoyed your stay. Regards Tricia. The motel does not have a swimming pool to classify itself as a 4-star hotel. Other than the first day where they forgot to give us our breakfast, the rest of the days are good. Whenever we come back in the evening, the bread is already in our fridge and the milk is replenished every day. We appreciate that the bathroom is fitted with a light heater which made it convenient for us to do our light washing and hang the laundry to dry in the bathroom. Our family of five enjoyed our stay in Elphin villa greatly. They replenish our supplies like fresh milk, bread n butter, coffee n tea daily. Also the trash was cleared everyday. We always come back to a house feeling cleaned. There are supermarkets; Coles & Kmart just right across our villa which opened till 12nn & 24hr respectively. We loved this villa. It's extremely near to any major supermarkets and they are cheaper then hobart. 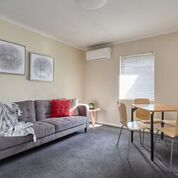 Buy anything that you need before returning to hobart, the room is clean and the receptionist is extremely friendly. If you need anything just check with them. The only thing which I forgotten to update them is the damaged lock, the door only lock with a simple lock and unable to "double lock". Thank you for your comments and we are pleased you enjoyed your stay here at Elphin Villas. In regards to the lock all of our sliding doors have two locks, one which is at the top and sometimes a little hard to see. We would love to have you stay with us again in the future and again thank you for your feedback. Regards Tricia. Room is bigger and well equipped than I expected which I booked for the smallest one. Close to the supermarket (Coles) and shopping mall. Although some distances to the downtown area but is definitely value for money given the prices. Thank you for your comments, we are pleased you enjoyed your stay with us. Regards Tricia. Thank you for your review and your comments and we are pleased you enjoyed your stay with us whilst in Launceston. Regards Tricia. There were dried leaves on the carpet when we checked-in, we thought they would be cleared the next day during housekeeping, but they were still left there. We were given a box of tissues with a few pieces of tissues left, and the empty box was not replaced the next day too. We could hear the footsteps of the people in the unit upstairs. To be fair, it is located within 2km of some good places to eat. Across the road there are KMart and Coles, convenient to do some shopping. The ladies manning the reception are very helpful too. Clean and well-equipped. Value for money. Supermarket is nearby. Beautiful Garden. However, we are disappointed that the heater is available only in the bathroom and not the bedroom. And the stench from the sewage water that flowed from uphill to the road outside the motel means we are not able to leave the place without stepping on the smelly water. Nice staff. Near with Coles & Kmart! Really lovely. Just one thing for other customers, try to control the amount of hot water shower when you get bathing. Since you are bath out all the hot water, you need to spend more time to let them reheat. It is a bit problem during Winter. I highly recomend this place, can't say enough great things about it and their staff..... Agoda however, took my payment and did not forward my booking to them, which in turn took some time to sort out at Elphin Villa's reception, which included me getting my laptop out so we could at least retrieve a booking number...... oh and Agoda, I AM AN AUSTRALIAN LIVING IN AUSTRALIA, USING AUSTRALIAN CURRENCY TO BUY ACCOMADATION IN AUSTRALIA, COULD YOU AT LEAST HAVE THE COMMON COURTESY TO SEND ME INFORMATION WITH PRICING IN AUD, THAT'S AUSTRALIAN DOLLARS IF YOU DON'T KNOW !!!!!! The rooms were very clean, particularly the bathroom. The location near the city park and all the amenities of city centre was extremely handy. The grassed area attached to back area of some of the rooms provided a pleasant place to relax. The breakfast was basic but adequate but I was disappointed that I had to request it when it should have been provided as part of the deal. Overall it was a pleasant experience. Excellent staff. Great rooms. Prime location. Superb value for money. Thank you for your comments and review and we are pleased you enjoyed your stay. We look forward to you staying with us again in the future. Regards Tricia. 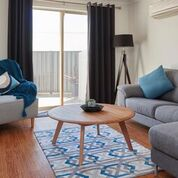 Good location, close to CBD & shopping centre. 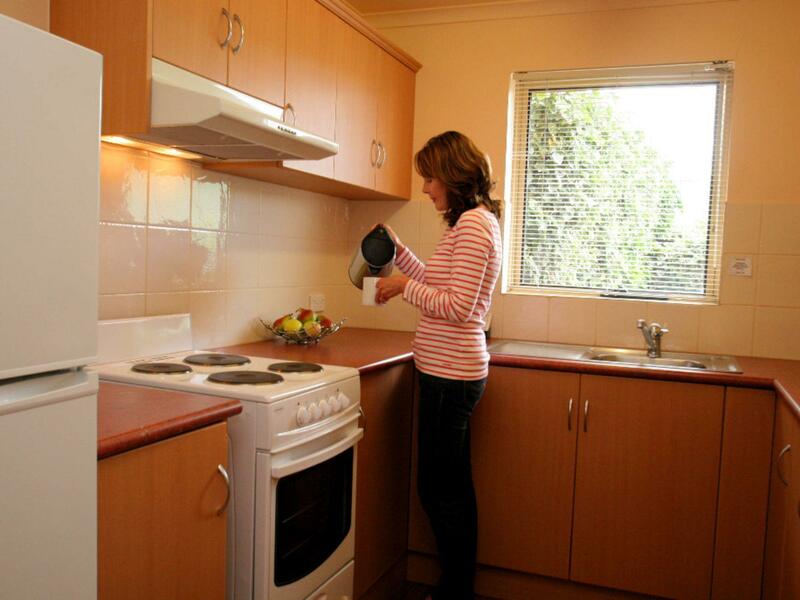 Facilities & rooms clean, quiet & comfortable, excellent for family short or long stay. Value for money. Tidy and cozy room. Only a few minutes walk to Coles supermaket. But wifi only work on daytime but not at night. Thank you for your comments and we are pleased you enjoyed your stay here at Elphin Villas. We would love to have you stay with us again in the future and again thank you for your feedback. Regards Tricia. Spacious! like the arrangement of this 2 levels unit. Also in excellent location! It was near k mart and super mart where we could get a lot of snack and food for our supper. The kitchen is clean and has the necessary cutleries and utensils for us to cook a decent meal.